The following webinar was developed in partnership with the WINTAC Pre-Employment Transition Services Team and the Career Pathways for Individuals with Disabilities (CPID) project in Virginia. This training provides a brief overview of career pathways and pre-employment transition services as outlined in WIOA. We also provide an introduction to the Career Pathways for Individuals with Disabilities (CPID) project in Virginia, and how all three work together to support the vision for individuals, especially students with disabilities in WIOA. Click this link to view the webinar. CRC Credits are available. Click this link to register and view this recorded webinar. 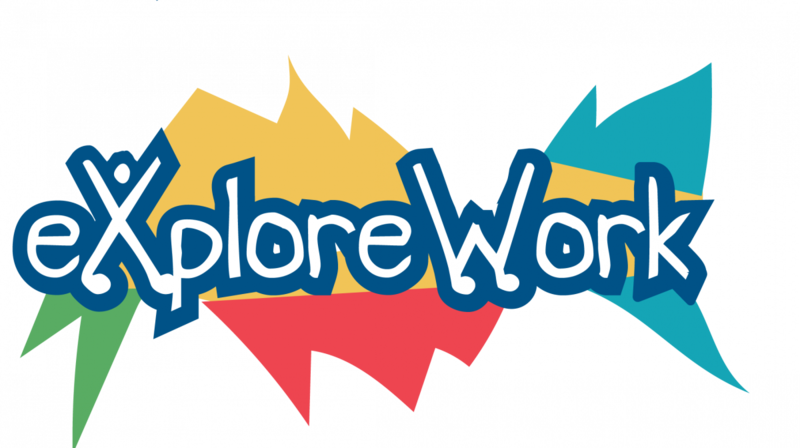 This 30 minute recorded webinar provides an overview and demonstration of Explore-Work.com. WINTAC has worked with Employment Resources, Inc. (ERI), the University of Wisconsin-Madison, and the University of Wisconsin-Stout Vocational Rehabilitation Institute (SVRI) to design a series of web-based modules that align with the five required WIOA Pre-Employment Transition Services activities for use with students with disabilities.Closed Captioning will stream during the recording. A copy of the transcript is also available upon request. Presentation materials are available for download once registered. Please be sure to complete the evaluation located in the Weblinks pod on the site. In this recorded webinar, the WINTAC Pre-Employment Transition Services team and the Common Performance and Reporting team is hosting the Alaska and Maryland State Vocational Rehabilitation Agencies to share their strategies for the tracking and reporting of pre-employment transition services. Our State partners will share their processes for capturing the information necessary for accurate reporting, including policies, procedures, and internal controls, as well as opportunities and recommendations for tracking outcomes for potentially eligible students with disabilities who receive pre-employment transition services. In this recorded webinar, the WINTAC Pre-Employment Transition Services team is hosting our WINTAC partner at the National Disability Institute Rachel Anderson, who is the technical assistance & training manager and subject matter expert for performance reporting. Part one of this webinar series will focus on the required data elements for tracking and reporting pre-employment transition services for both in-house and purchased services. Requirements and ideas for capturing the information necessary for accurate reporting, including policies, procedures, and internal controls, as well as opportunities and recommendations for tracking outcomes for potentially eligible students will be highlighted. This is a pre-recorded webinar available on demand and presented by the WINTAC Pre-ETS team, RSA, NTACT, and Nevada VR and DOE. In this webinar presenters share information on the requirements of the Formal Interagency agreement, background, the requirements under IDEA that align with the agreement, the toolkit to assist in the development of the agreement, and Nevada's experience revising their SEA agreement to be consistent with WIOA. Closed Captioning will stream during the recording. A copy of the transcript is also available upon request. Presentation materials are available for download once registered. Please be sure to complete the evaluation located in the Web links pod on the site. One CRC credit will be awarded upon completion and submission of your evaluation. This Webinar is Pre-Recorded and available On Demand. In this recorded webinar, the WINTAC Pre-Employment Transition Services team, along with representatives from Alaska, Maryland, and Nebraska, share their implementation strategies and challenges related to implementation of Section 113 (Pre-Employment Transition Services) of the Workforce Innovation and Opportunity Act (WIOA). Presentation materials are available for download once registered. Please be sure to complete the evaluation located in the Weblinks pod on the site. One CRC credit will be awarded upon completion and submission of your evaluation. Topic: Career Counseling for Students with Significant Disabilities: Strategies for Success WINTAC and NTACT are partnering to present a June 8th live webinar on the topic of Career Counseling for Students with Significant Disabilities. To view this recorded webinar, visit this link. Archived webinar, done in collaboration with PATTEN, that gives an overview of Pre-employment transition services, outlines cross Technical Assistance Centers collaboration , and features examples from state VR agencies in California, Delaware, DC, New Hampshire, & Pennsylvania. You will be able to download the transcript and slides of the presentation. NTACT has partnered with practitioners in the field and the WINTAC to develop Competitive Integrated Employment resources. The focus of the resources is planning and implementing employment preparation activities for secondary students with disabilities. Join staff from the national technical assistance centers on this webinar on strategies for partnerships between schools and vocational rehabilitation to support students with high support needs in community-based work. Joint Youth TAC Webinar: A Snapshot of Youth-Focused Technical Assistance Centers:A Guided Tour of the Intersections and Distinctions Across Five of the Nation’s Disability and Youth-Focused TA Centers. This webinar is captioned and captioning is included in the archived recording, accessible from the link above. A transcript of this webinar is also available. On October 13, 2016, RSA and OSEP held a webinar focused specifically on transition-related changes under the Rehabilitation Act of 1973, as amended by the Workforce Innovation and Opportunity Act (WIOA). The webinar focused on transition-related changes to the VR program regulations, as amended by WIOA including: transition-related definitions for pre-employment transition services and transition services; the scope of pre-employment transition services, group and individualized transition services; the formal interagency agreement between State educational agencies and VR agencies; and limitations on the use of subminimum wage. The Transition Academy is a suite of self-paced elearning courses designed for teachers, counselors, and other specialists helping youth and young adults navigate the transition to independent living, continuing education, and work. Courses are characterized by: video instruction, coaching, and collaboration opportunities; strategic assessments; and helpful tools designed to provide the knowledge and skills required to maximize outcomes for our youth and young adults with disabilities. These courses are available any time and offer a practical orientation emphasizing the implementation of skills and strategies. Discussion of state strategies for supporting students with the most significant disabilities to participate in Work-Based Learning Experiences. WINTAC's Pre-Employment Transition Services and Supported Employment Topic Area teams are hosting regional calls to give states an opportunity to share strategies for providing work based learning experiences for students with the most significant disabilities who may need additional onsite support services beyond the scope of pre-employment transition services.States can askquestions and share practices with colleagues in other states. View this link for details on the dates and times to join this conversation.